Fulani herdsmen have killed more than 6,000 Christians in Nigeria so far this year, the Christian Association of Nigeria in Plateau State alleges, and have been allowed to escape scot-free by government security. The violence may be rooted in disputes over land rights—the mostly Muslim Fulani herdsmen are increasingly cut off from grazing routes by Christian farming communities—but it appears increasingly sectarian. Nigeria represents only one location of the many violent conflicts over religion today. In perhaps the worst example, hundreds of thousands of Muslims, known as Rohingya, were driven out of Myanmar in August last year after a murderous campaign of ethnic cleansing allegedly orchestrated by state security forces. Almost 300 Rohingya villages were destroyed and as many as 6,700 villagers were killed. Now Rohingya refugees remain precariously encamped in Bangladesh, with a safe return to their homes an uncertain prospect. Religious freedom around the world has taken a beating over the last two years, according to a number of authoritative sources, including the U.S. Department of State and the Pew Research Center. The U.S. Commission on International Religious Freedom also reports that the most severe repression based on religion includes genocide, enslavement, sexual assault, forced displacement and conversions, property destruction, the marginalization of women and bans on children participating in religious activities. The U.S. State Department signaled a renewed interest in the problem by hosting a Ministerial to Advance Religious Freedom at the end of July. While some remain skeptical that the Trump administration will remain committed to the freedom of all religions, owing to prior policies and political rhetoric that have been hostile to Muslims, Sam Brownback, the U.S. ambassador-at-large for international religious freedom, noted that delegates from 80 nations representing many faiths participated in the ministerial. It is also a human dignity under profound threat around the world. To take one recent example, Human Rights Watch reports that in July Indonesia’s Constitutional Court dealt a blow to the nation’s already fragile religious freedom when it dismissed a petition to overturn Indonesia’s blasphemy law, often employed as a social cudgel against adherents of minority faiths. The Catholic pastoral group Aid to the Church in Need reports in “Persecuted and Forgotten?” that the worldwide persecution of Christians is “today worse than at any time in history,” with acute crises in Syria, Iraq, China, India and Pakistan. A.C.N. reports that as many as 600,000 Christians suffered some form of religious persecution in 2016. According to Open Doors, a Christian advocacy group, 215 million Christians worldwide live under the threat of “high” to “extreme” religious persecution. North Korea claims the top spot—for the 16th consecutive year—in Open Door’s list of 20 states where Christians are most endangered. The group reports that more than 50,000 Christians in North Korea are held in prisons or labor camps. North Korea claims the top spot—for the 16th consecutive year—in Open Door’s list of 20 states where Christians are most endangered. The Pew Research Center’s ninth annual study of global restrictions on religion also contains distressing news. The share of countries with “high” or “very high” levels of government restrictions on religious beliefs and practices rose from 25 percent in 2015 to 28 percent in 2016, Pew reports. That percentage falls just below the 10-year peak of 29 percent in 2012, which coincided with the Arab Spring uprisings. Meanwhile, the share of countries with “high” or “very high” levels of social hostilities involving religion—that is, acts of religious hostility by private individuals, organizations or groups in society—remained at a historically high rate of 27 percent. Overall, 83 countries in 2016 had high or very high levels of restrictions on religion—whether from government or social hostilities. This was up from 58 in 2007, Pew’s baseline year for the continuing study. In many states, this worsening trend has been accompanied by greater authoritarianism in general, according to the 2018 U.S.C.I.R.F. annual report. The suppression of religious rights is often thinly veiled as efforts to protect national security or combat terrorism. 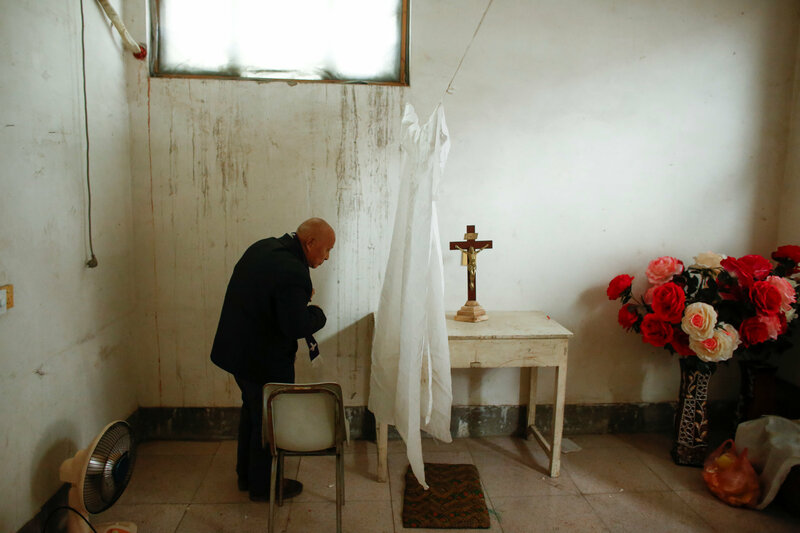 In China religious expression has been under a sustained assault as President Xi Jinping continues a renewed campaign “against the infiltration of Western ideology.” Christian churches have been demolished, and identifying markers like crosses have been removed or destroyed. Uighur Muslim, Tibetan Buddhist and Falun Gong adherents have also faced persecution. In predominantly Christian Europe, the refugee crisis has produced a mass influx of Muslim people, and there has been a political backlash. In the Netherlands, Pew researchers report, the Freedom Party announced an election platform in 2016 that called for the “de-Islamization” of the country, including barring asylum seekers from Islamic countries, prohibiting Muslim women from wearing headscarves in public, closing all mosques and banning the Quran. But the U.S.C.I.R.F. report does find cause for optimism, acknowledging that while severe violations of religious freedom still occur, they are less likely to go unnoticed than previously. “The media and civil society in the United States and abroad are more focused on international religious freedom issues than ever before,” according to the commission. Sources: “Global Uptick in Government Restrictions on Religion in 2016,” Pew Research Center, June 21, 2018 (North Korea cited as “among the most repressive in the world” but not categorized because of a lack of data); estimate of the number of Christians experiencing persecution from “World Watch List 2018,” Open Doors USA. Between 2015 and 2016, the Pew Center added Burma (Myanmar), Laos and Western Sahara to the list of nations with “very high” government restrictions on religion, while dropping Vietnam to the “high” category. It added Bangladesh to the list of nations with “very high” social hostilities against religion, while dropping Afghanistan, Pakistan, and Yemen to the “high” category. The Open Doors USA list of the “20 Most Dangerous Places to be Christian”: 1.) North Korea, 2.) Afghanistan, 3.) Somalia, 4.) Sudan, 5.) Pakistan, 6.) Eritrea, 7.) Libya, 8.) Iraq, 9.) Yemen, 10.) Iran, 11.) India, 12.) Saudi Arabia, 13.) Maldives, 14.) Nigeria, 15.) Syria, 16.) Uzbekistan, 17.) Egypt, 18.) Vietnam, 19.) Turkmenistan, 20.) Laos. What are the root causes of religious persecution? Is the persecution against religion in general or specific religions? Is it idiology vs religion or a specific religion vs another? Or something else? How many different situations are there? This article also appeared in print, under the headline "Religious freedom around the world under siege; Christian persecution is especially acute," in the September 3, 2018 issue.